Auntie Anne's is located inside JAX Airport (Post-Security). 20% Discount on store items. Brooks Brothers is located inside JAX Airport on Concourse "A" (Post-Security). Burger King is located inside JAX Airport (Pre-Security). CNBC are located inside JAX Airport on Concourse "A" and Concourse "C". 20% on store items. Excludes books, magazines, videos, newspapers, tobacco. Chilli's Too is located inside JAX Airport (Post-Security). 20% Discount on Food/Beverage. Excludes Alcoholic Beverages. Ciao is located inside JAX Airport on Concourse "A" (Post-Security). Comfort Zone Spa is located inside JAX Airport (Post Security). 10% Discount on all services and retail. Comfort Zone Massage is located inside JAX Airport (Pre-Security). Firehouse Subs is located inside JAX Airport (Post Security). 20% on store on Food and Beverages. New York Times Bookstore is located inside JAX Airport on Concourse "C". PGA Tour Shop is located inside JAX Airport (Pre-Security). Sam Sneeds is located inside JAX Airport (Pre-Security). Sbarros is located inside JAX Airport (Post-Security). Starbucks is located inside JAX Airport (Pre and Post Security). 15% Discount on Restaurant. Excludes Alcoholic Beverages. 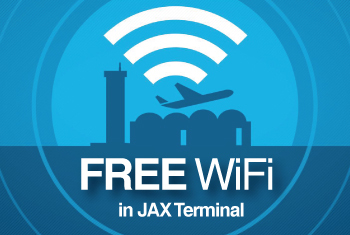 RiverCity TravelMarts are located inside JAX Airport on Concourse "C" and Pre-Security. 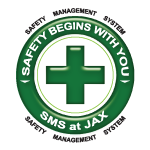 Insights is located inside JAX Airport (Pre and Post Security). 20% Discount on any Non-Sale Items. 20% Discount on headphones, electronics, chargers and more. Vino Volo is located inside JAX Airport on Concourse "C" and Post-Security.